That’s right – it’s time to embrace the digital age and often Twitter is a neglected resource for writers. 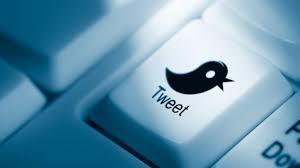 Prakky shares her top five tips on how to best utilise Twitter if you are a writer. 1. Follow and interact with other writers. Twitter works best as a place to have real conversations and to build support networks. 2. Use your Twitter bio wisely. Make sure to tell the world you’re a writer, mention titles of your work or where to access it, and include your website address if you have one. 3. Find and participate in relevant hashtags such as #writers #writing #poetry – and look out for relevant conference or event hashtags that emerge occasionally. 4. Follow other writers’ Twitter accounts for encouragement and insights. You may find yourself chatting with @neilhimself or @MargaretAtwood or @AmyTanWriter or @BretEastonEllis or more! 5. Consider Twitter as another space for story-sharing. While each tweet must be confined to 140 characters, don’t let this stop you from sharing multiple consecutive tweets to get your point across or to share a piece of work. You can include links to longer pieces of writing on your own website. Or you might enjoy the discipline of the character limit, finding it inspires creative approaches to communicating. How have you used Twitter to help with your writing, promoting your work or making connections in the industry? We’d love to hear your tips – share below! Michelle Prak, aka ‘Prakky’, is one of South Australia’s leading social media consultants. Prakky works with businesses and government departments to deliver social media programs. She can be heard regularly on ABC Radio 891 and is a caretaker of the Adelaide social media network, SocAdl.